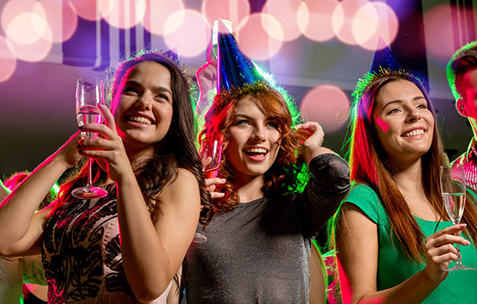 Tired of the standard trip to the noisy, rude, and rowdy bar for a bachelorette party? Exhausted by the extensive planning required to find destinations that would be the greatest final fling with the girlfriends? It’s a given that there is pressure to search for restaurants to dine at, activities to take part in, and places to explore that in tow build upon the monumental pressure to impress your dearest bride-to-be. Many find a hosted, curated and vetted experience to be the perfect solution! With A Toast to Travel, all the details are taken care of for you and your private group. After years of living in Italy like a local, we vetted and curated our Highlights of Florence and Tuscany Experience where for 7 days your party will explore Florence, Siena, Pisa, Lucca, and Chianti and dine on world-class cuisine and unlimited wine. The experience includes visiting top sights, the Uffizi Gallery, the Accademia (Michelangelo’s David), medieval towns, enjoying wine tastings in Chianti, an Italian cooking class, a pizza making class with a genuine pizzaiolo, and gourmet meals. Your party will be based in a beautiful, historic hotel in the heart of Florence and travel around Tuscany in a Mercedes vehicle, never a tour bus! We fully host your private group and are with you so you can live like a local. 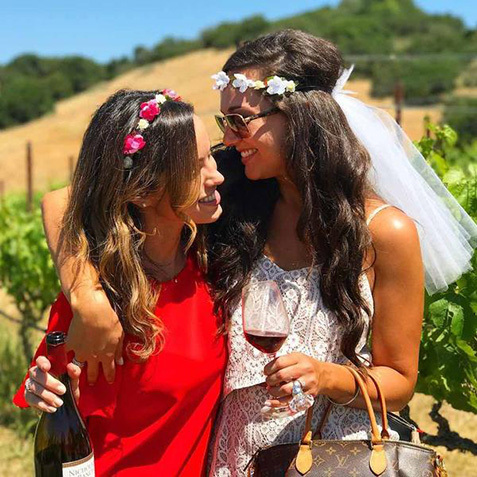 According to a survey of approximately 1,000 women conducted by ShopStagAndHen.com, wine countries place third in the most popular destinations for a bachelorette party. We deliver the luxury of relaxation on what would otherwise require relentless research for an epic trip. At our core, our company is about providing incredible, authentic Italian experiences. Before the bride embarks upon the most important moment of her life, it is important for her to feel at ease and prepared for this next stage of her life. It is also important that those who support her feel comfortable while celebrating such a momentous time in the bride and groom’s life. 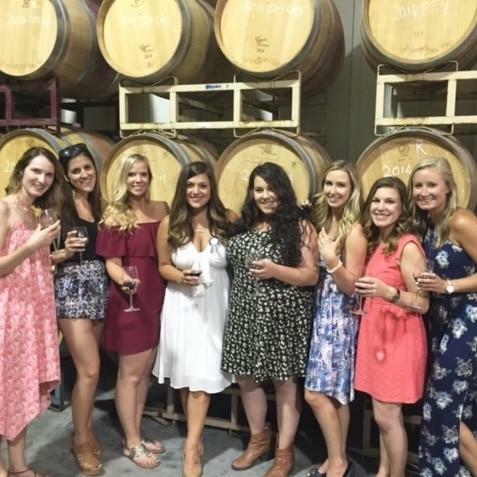 The bridal party is the center of all planning and support for the bride and a short, yet luxurious time would leave all of you rejuvenated and ready to stand your best at the wedding and reception. To provide an experience that the bride and bridesmaids will enjoy is an exhaustive undertaking. Going to a new country and traveling are frequently on the bucket list of most people, so helping your bride achieve some of her goals will feel satisfying to her and the rest of the bachelorette party. A Toast to Travel provides an experience unlike any other. Forget the hours of research required to find beautiful locations, scheduling tours or classes for cooking and yoga, or stressful booking of hotels; A Toast to Travel will take care of that strenuous work for you so you can relax and enjoy time with those that are closest.